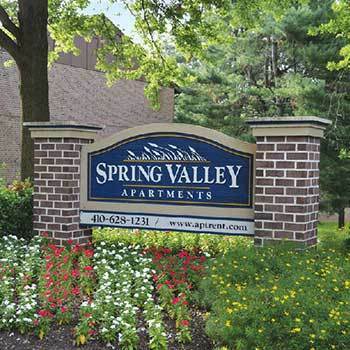 Looking for an affordable apartment or townhome in Cockeysville, Hunt Valley, or Timonium, Maryland? Now is your opportunity. 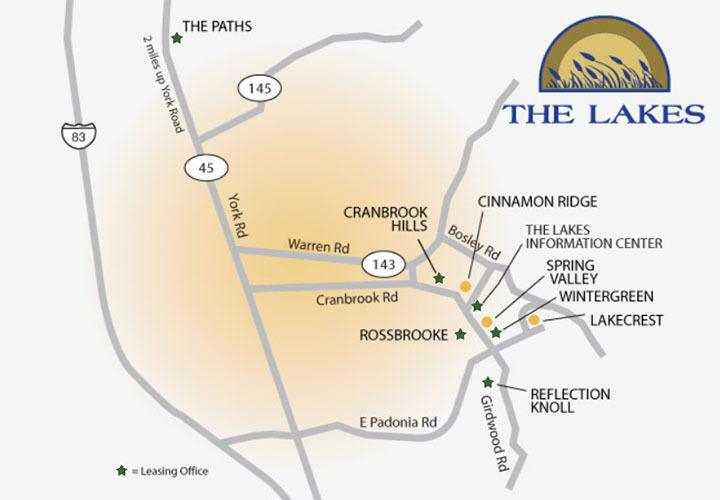 The Lakes is home to 19 different apartment communities, each with its own charms and benefits. 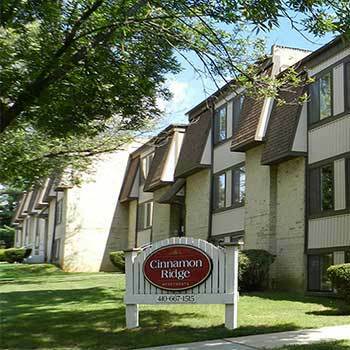 Whichever you choose, you can rest easy knowing you are surrounded by the quiet convenience of our welcoming neighborhood in Northern Baltimore County. 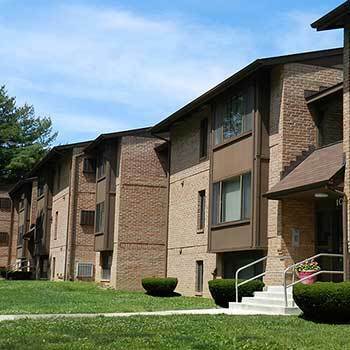 Apartments and Townhomes in Cockeysville, Sparks and Timonium, Maryland. Spacious one, one bedroom + den and two bedroom apartments. 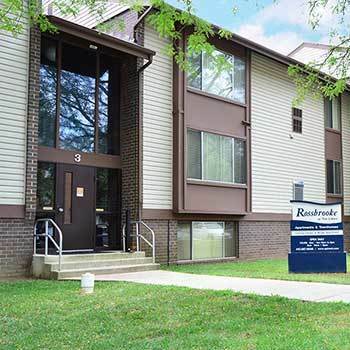 Affordable studio, one, one + den and two bedroom apartments / two bedroom townhomes. We offer one, one + den, and two bedroom apartments for rent at five communities: Reflection Knoll, Whispering Hills, Lakecrest, Lakeview, and King's Crossing. 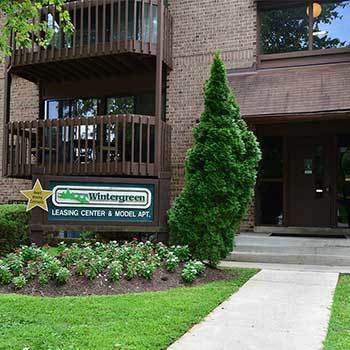 Come home to Wintergreen Apartments. Choose from one, two, and two bedroom + den apartments. Every two bedroom apartment comes equipped with two full baths. Experience the comfort and privacy that comes with living at Cinnamon Ridge in Cockeysville. 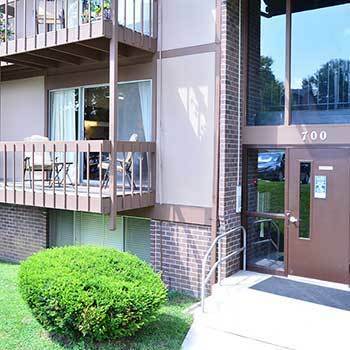 We offer two and two bedroom + den apartments for rent in a convenient location. Spring Valley and Dulaney Spring Apartments offer spacious two and two bedroom + den apartments for rent in Cockeysville. Each home includes two full bathrooms. Located in Hunt Valley, The Paths at Loveton Farms and Windmill Chase offer four floor plans for you to choose from: one, one + den, two, and two + den bedroom apartments. Set in the picturesque Dulaney Valley area, The Lakes offers residents an idyllic location to enjoy the best of Baltimore County. 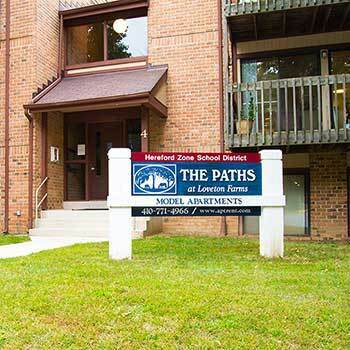 The neighborhood is perfectly located near entertainment, shopping, restaurants and major thoroughfares, which provide easy access to downtown Baltimore. We are even close to Dulaney High School, a National Blue Ribbon School, and Towson University. From I-695 to 83N to Exit 17. Right on Padonia Road. 2 miles to left on Cranbrook Road. The Lakes Apartment Information Center is 1 block on the right.